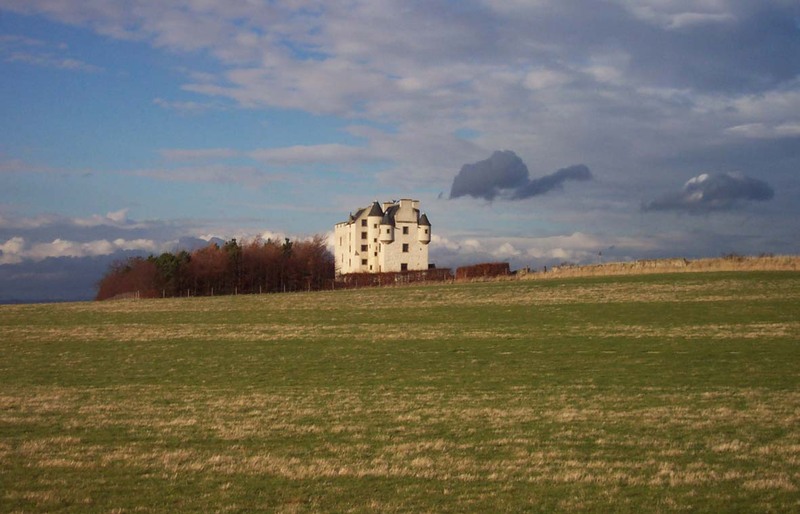 Located on an exposed hilltop site South East of Edinburgh, overlooking Inveresk and the A1. 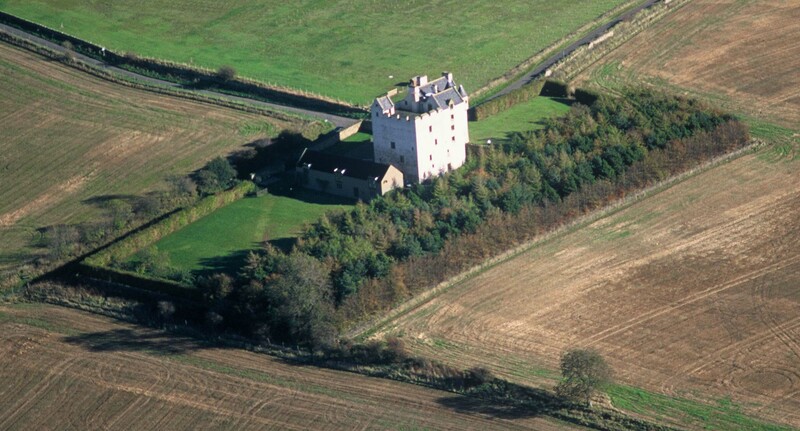 The Tower has 360 degree views with the Highlands, Stirling and St Andrews visible north of the Forth. 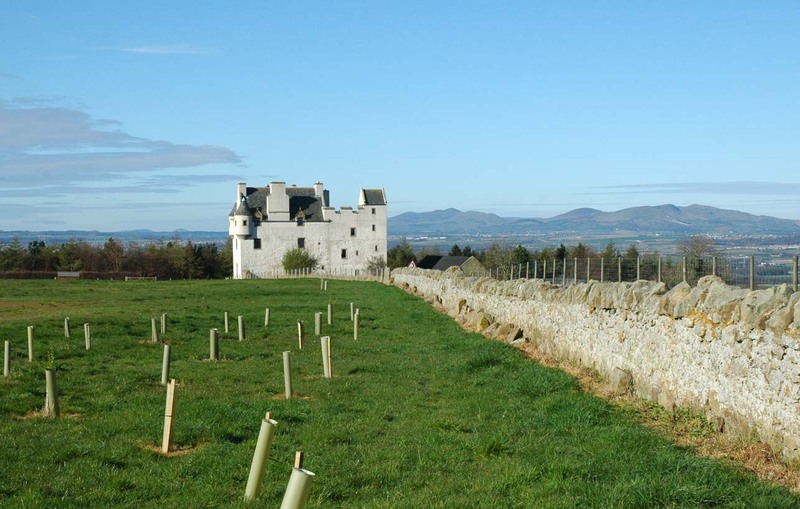 Extremely high winds led to the design of a shelter belt of trees to the West to create areas of calm at ground level. 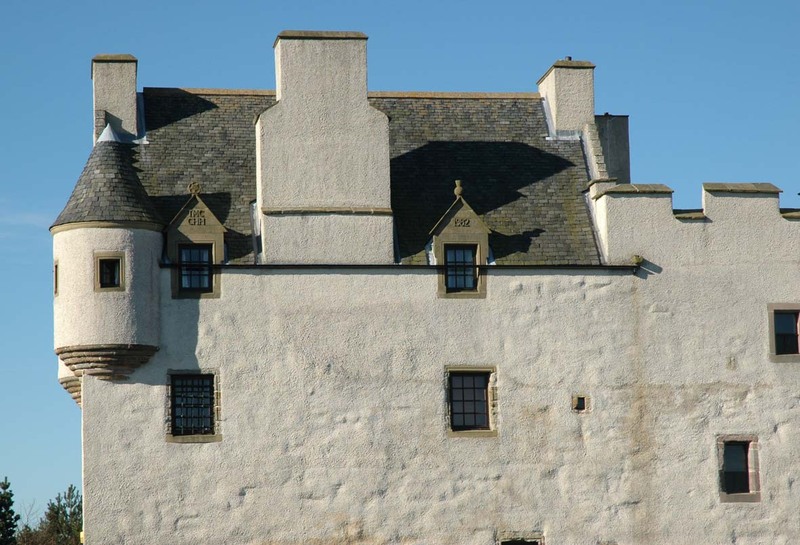 The building comprises a C15th square, four-storey Keep with C16th “L plan” addition. 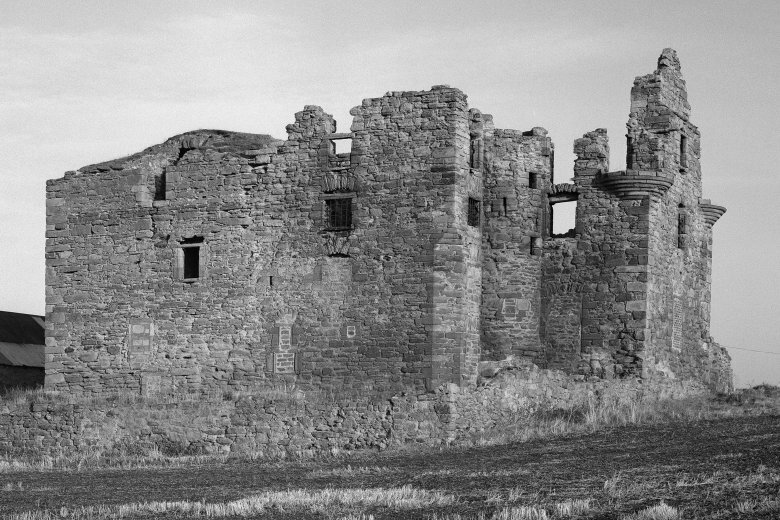 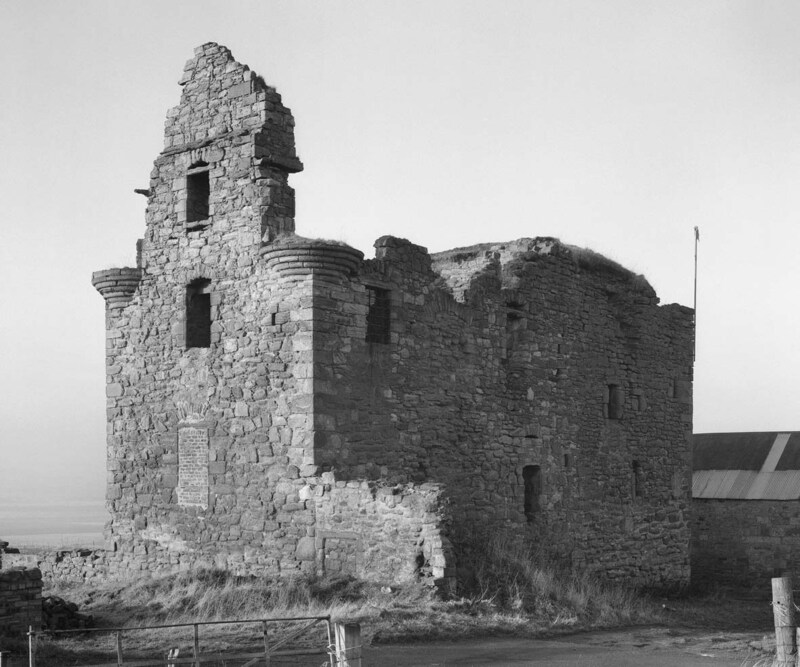 By 1977 the structure was derelict and dangerous in parts, virtually no timber was left in the ruins and much of the dressed stone had been removed. 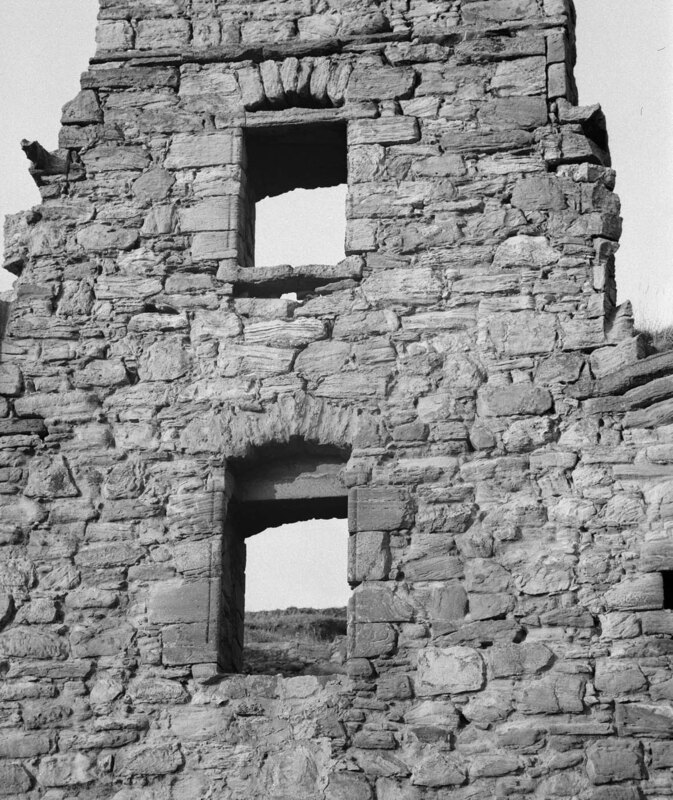 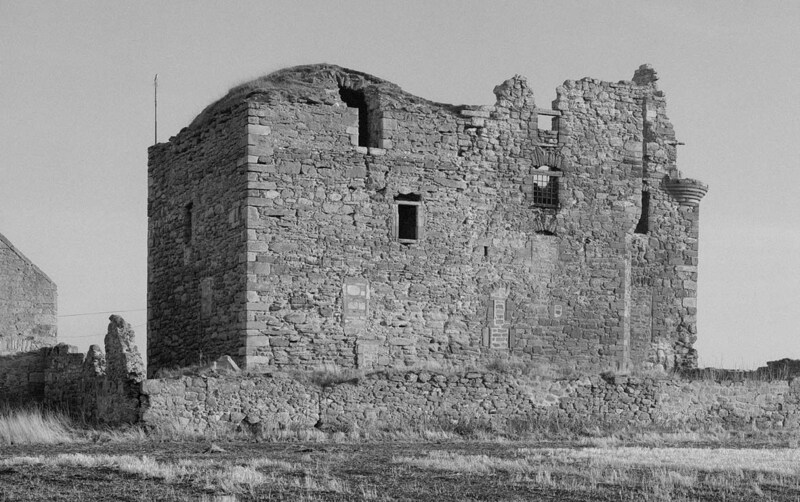 West facing rubble walls had suffered severe erosion but the Tower walls were plumb. 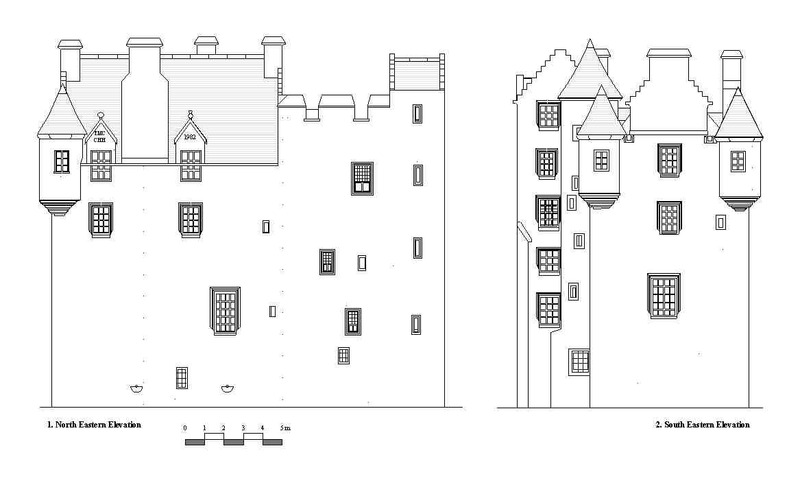 The brief was to recreate the two different structures as they were at 1600. 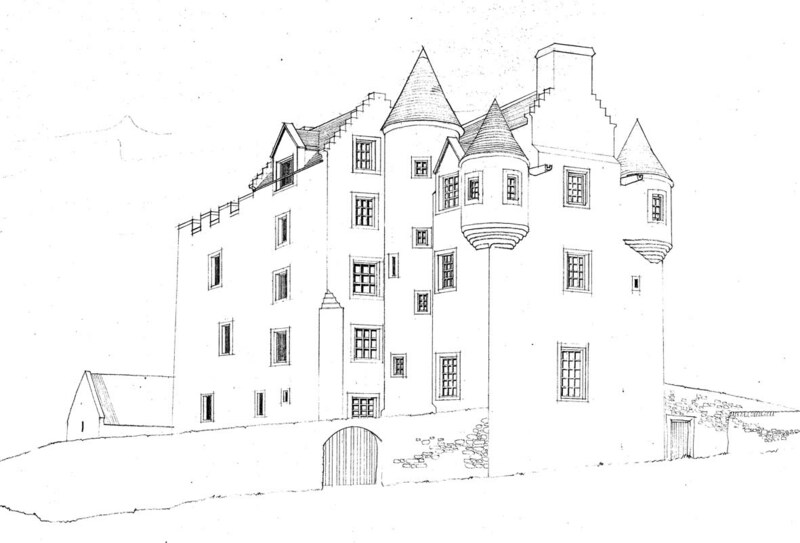 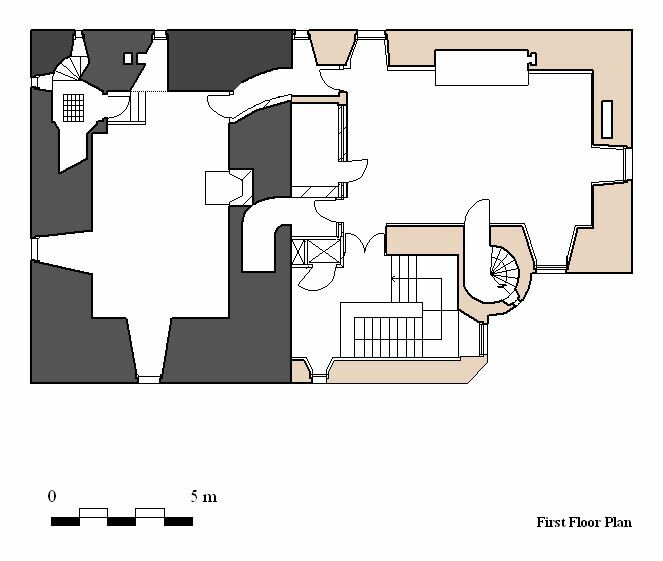 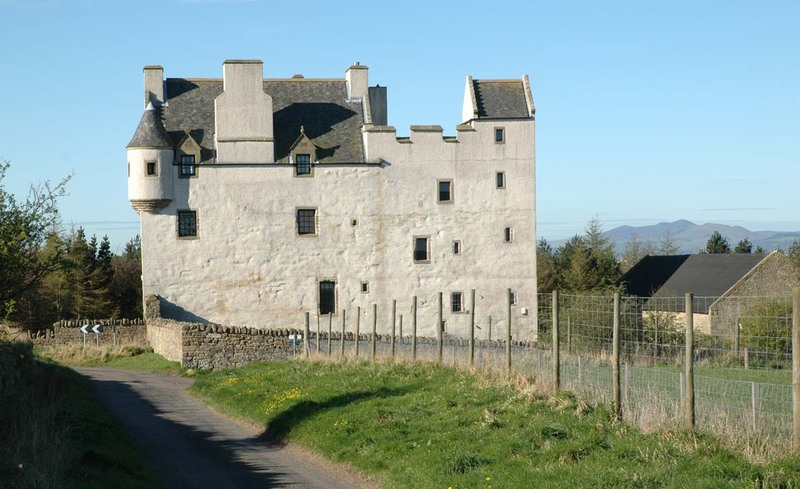 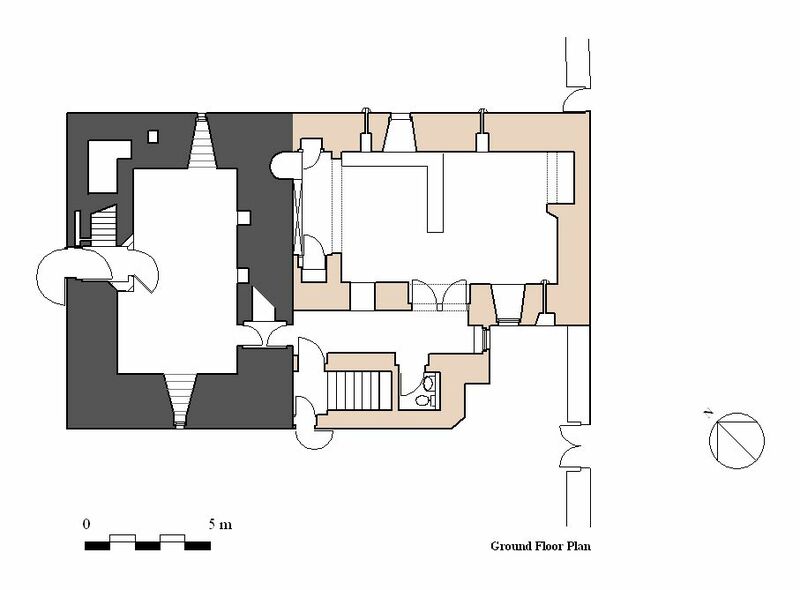 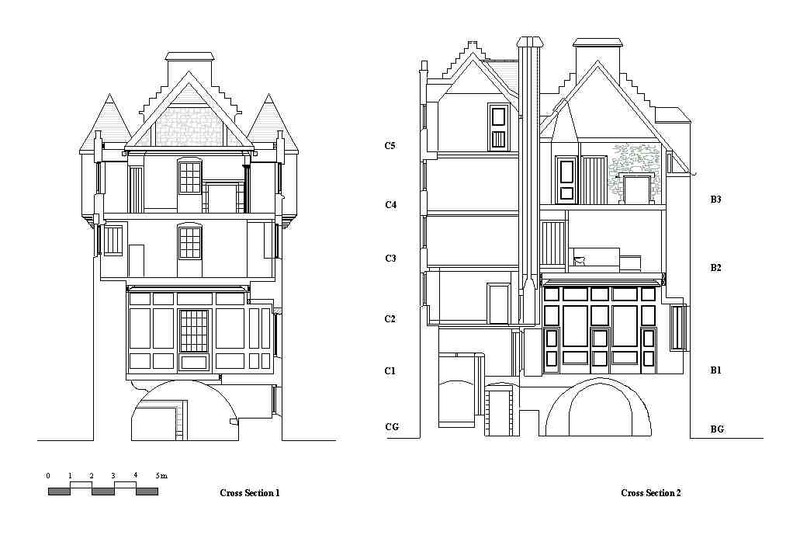 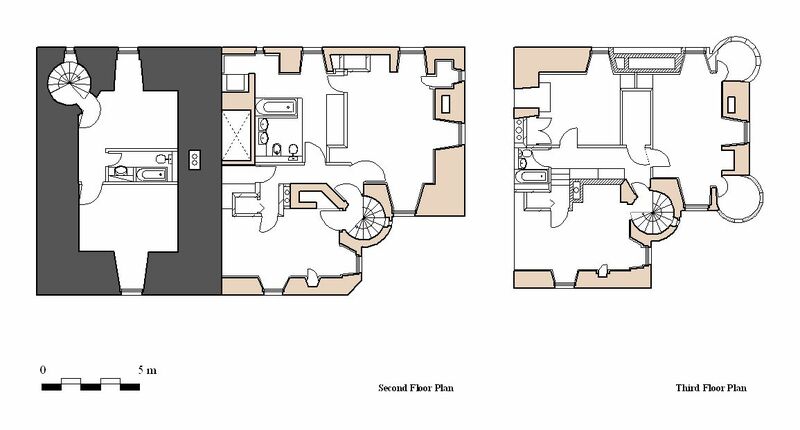 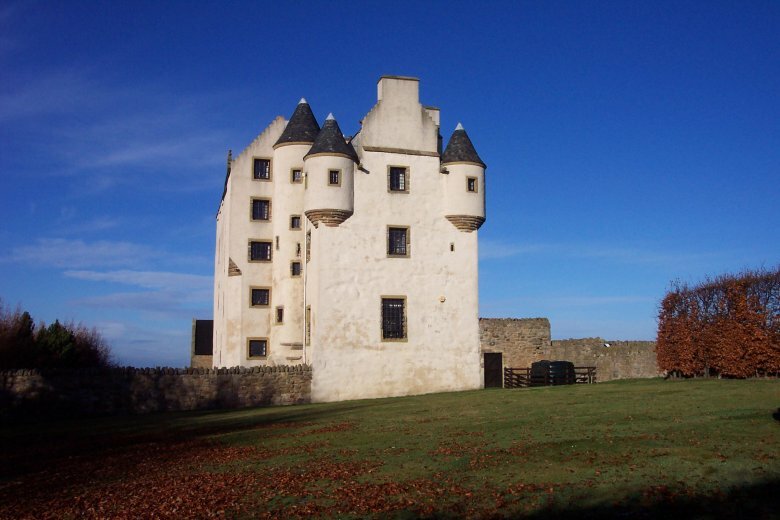 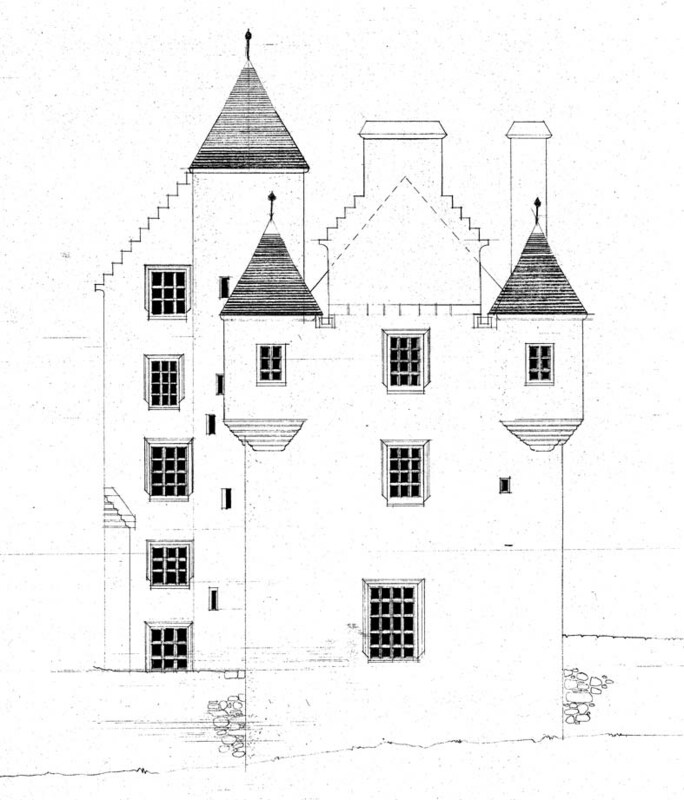 To create a modern family home which respected the different characteristics of the interiors of the Tower and the much lighter, Laird’s House. 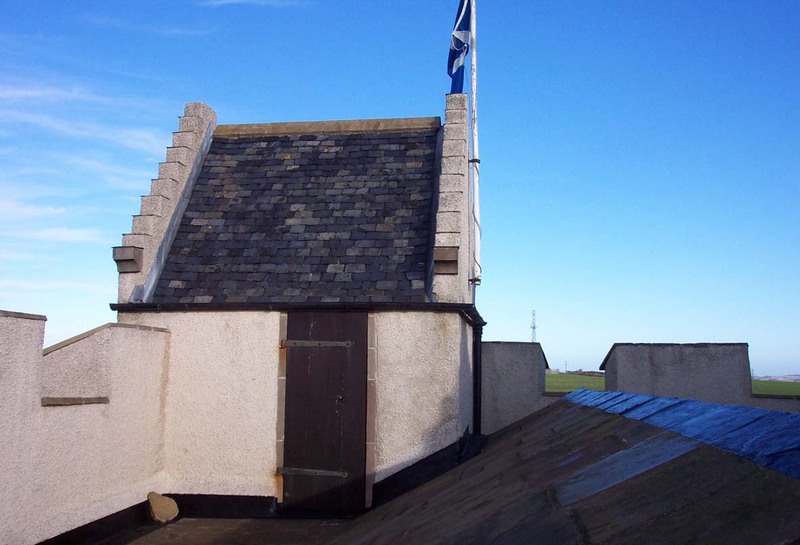 Sub-contractors: Hunter Moran, Stonemason, Tranent. 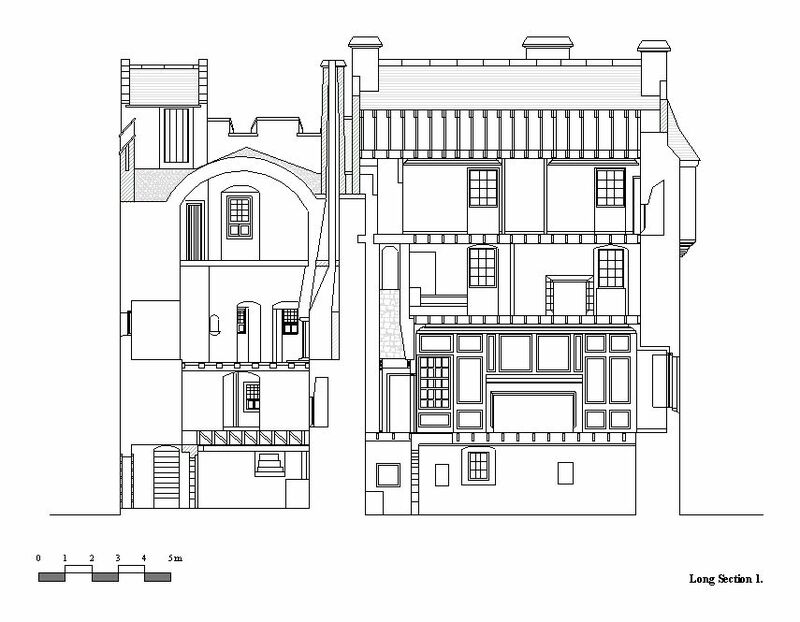 Robertson and Thomson, Joiners, Tranent.